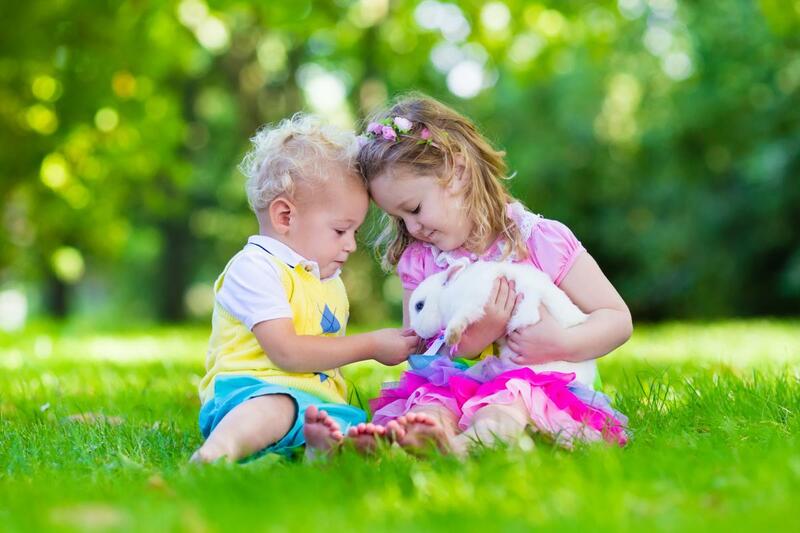 Feeding rabbits is one thing, but feeding baby rabbits is a whole different ball game. You need to take a few things into consideration and plan things accordingly. It's a general tendency to keep dogs and cats as pets; people from all over the world have been doing so. But keeping a rabbit as pet? Very rare! Raising rabbits can be a hell lot of fun, if you get the basics right. They look very cute, which makes them ideal pets for kids. Whether you have bought in newborn baby rabbits or found them cause their mother left them, or died, you need to be their momma and do the needful. How to Feed a Baby Rabbit? Once you have decided to raise them, the most important thing to take into consideration will be their diet. Well, feeding baby rabbits is not a big deal, if you buy the right food and feed them using appropriate techniques. If you have a baby rabbit as pet, Kitten Milk Replacer (KMR) (5cc - 30cc) is by far your best bet. You can add a tablespoon of cream to it, to match to the caloric value of natural rabbit milk. You can feed it acidophilus capsules as well. These capsules help maintain the bacterial balance in their tummy. The dosage includes half capsule for the first week, followed by one capsule every week. You can feed it condensed milk or goat milk combined with 3 tablespoons of cream, 3 tablespoons of karo corn syrup, and one egg yolk. 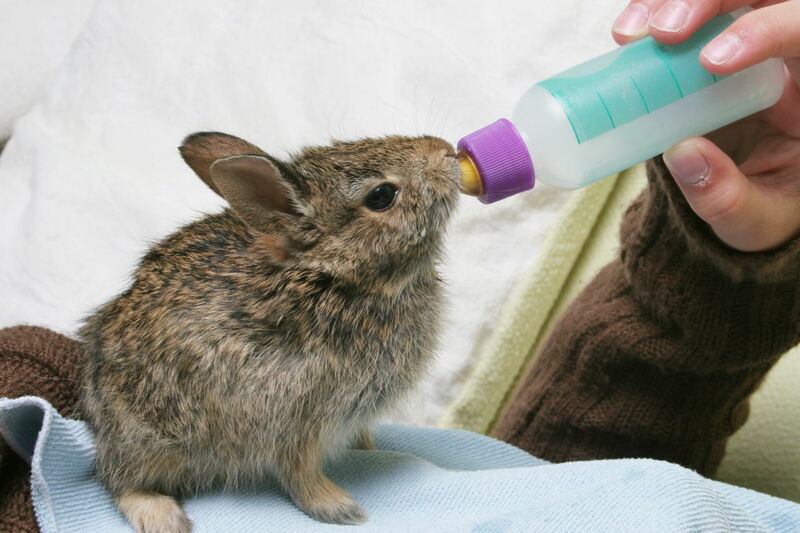 This is the healthiest feed for baby rabbit. You should feed it twice a day, not more than that. Make sure you use an eye dropper, sterile oral syringe, or a pet nurser bottle for feeding it, as these are the safest options at your disposal. You can keep the baby rabbit in the crook of your arm or lay it on your lap, wrapping it with a soft hand towel. You also need to make it defecate and urinate, which you can do by rubbing its lower part very smoothly after eating. It helps improve their bowel habits. After about 10 days, when its eyes open, you can start feeding it hay and pellets, which are high in fiber and fresh. However, make sure you don't start off with fruits and veggies immediately. If it is a baby rabbit that you found in the wild, you can give it pesticide-free greens and timothy or oat hay. Don't feed it pellets since it is a wild rabbit and its natural habitat is devoid of such high-protein stuff. You can eventually release it in its natural environment, preferably in the early morning. 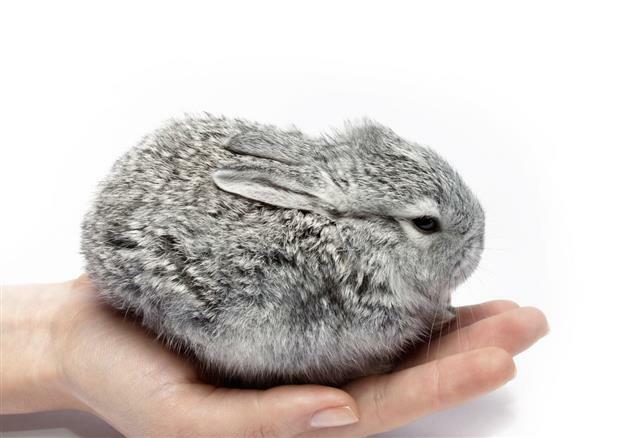 You need to remember that baby rabbits are like newborn babies, so make sure you pamper them as much as you can. They are wonderful to watch and very affectionate and playful, and you will have a great time with them as long as you care for them.